Are you a student, digital marketer or content writer? If yes, then this blog post is for you to write without English errors. Yes! I’m going to discuss the free online Grammar checker for sentences so that you could craft the great content for your website or academics. Writing and publishing the blog posts isn’t enough these days. You have to proofread the content for Grammatical and spelling errors. Think how embarrassing it will be if someone points out grammatical errors in the post you published? Likewise, when you write the assignments or essays with the grammar mistakes, then it would spoil your reputation among the students and your academic institution would also be in the trouble. Now tell us honestly how many times this has happened to you? And how many times you felt embarrassing when you have written the poor quality content? For any student or a blogger, this may be a great awkward moment. Well! It is not that easy to write a flawless content and can be a real challenge. But if you create bad quality content, then no one will really read your blog post or even the assignment content that you have written. Even Google will penalize your blog site with bad quality content- plagiarized content or content with full of grammatical errors will also affect the overall rankings. Either wise, you may also be penalized by your school/college for writing content with poor grammar. Hence it is very much important to make the Grammar Corrections. I have tried my best to list down top 10 Free Online Grammar Checker For Sentences to generate the faultless scripts. Without any doubt, the most popular online grammar checker is none other than the Grammarly. It is used widely to correct spelling and grammatical errors on the fly. Millions of people over the world love to use Grammarly and are their go-to tool to check grammar errors. However, the tool is not completely free but to make their users stay attached to their favorite tool, they have produced an extension for Chrome users which is great to write flawless content. When you will open it, you may not find anything extraordinary about the very simple online grammar checker known as the Grammar Check. However, the truth is that this is one of the most traditional software available in the market. Yes! Grammar Check is simple to use yet works beautifully and checks the article thoroughly. The best part is that you can import documents or write within the tool and edit accordingly. The Software that resembles more to the Microsoft Word is none other the Native Ginger Software. This is an online tool to check grammar errors and make the content flawless. This grammar checker for sentences is the best for the people who are doing masters in the English Language. You can also download the app version on your Android or iOS device and it will work beautifully. However, Ginger can also translate the text into more than 40 languages at a reasonable subscription fee. A popular online grammar checker for sentences that is trending nowadays apart from Grammarly is SmallSEOTools Grammar Checker option. It is easy to use and understand as it will highlight the wrong words in yellow and you can then correct it instantly with the suggestions given there or accordingly. Thus, it is one of the fastest working apps to check grammar and correct spelling mistakes online. You can also check the plagiarism level of your content with SmallSEOTools. If you are looking for an online grammar checker that can translate the text into several other languages, then Reverso is the best tool for that. All you need to do is simply paste your text in the dropbox and you can check the spelling and grammatical errors with just one click. This is available as an app and can be downloaded in the Android and iOS phones. One of the online software tools for grammar checking that is simple to use is Online Correction. The name of the tool itself describes that it can detect spelling, grammar and other mistakes such as auto-correct easily. All you need to do is to copy paste the text in the text editor and select the submit button. As a result, you will be able to check all the grammar errors and make your content flawless. Language Tool is yet another online grammar checker for sentences that not only checks grammatical mistakes but also can correct it in several other languages. 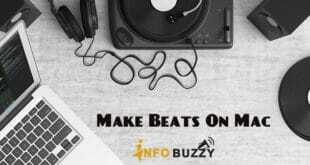 Another feature to make this software standout is that you can download it and enjoy all the feature to the fullest. However, as a new user, they give an online trial version for free. As per review, this software is potential to detect grammatical errors amazingly. Personally, I love this online grammar checking tool that too for one particular reason. And if you want to know about the reason, then read below. The reason is nothing but the conversion of text into speech using a microphone. This is probably the only tool to have this feature among the ones listed here. 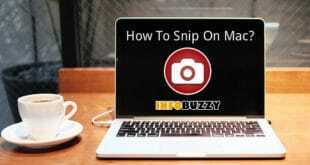 You can rely on this software to make your viewers read a fruitful content with no grammatical errors. An online software that is specifically designed to help the users get a well written, polished content is none other than the Grammar Check For Sentence. It is avail free of cost and is open to all and hence, anyone can use it to make their worth reading. It is meant for professionals and academic oriented people who are looking for an effective and simple platform to check their article for all the grammatical and spelling mistakes. Online SpellCheck is the last grammar check online free sentences tool in my list as I can’t avail to miss this one out. It is one of the most user-friendly software that helps to check spelling mistakes, grammatical errors, readability of your content and what not. Most importantly there are no word limits while using the Online SpellCheck. It helps to analyze the whole article amazingly and as a result, you will be able to provide a flawless content. Crafting the content with no grammatical mistakes is an art! It has several benefits as well. You can get a great reputation among your friends & educational institution and search engines as well. 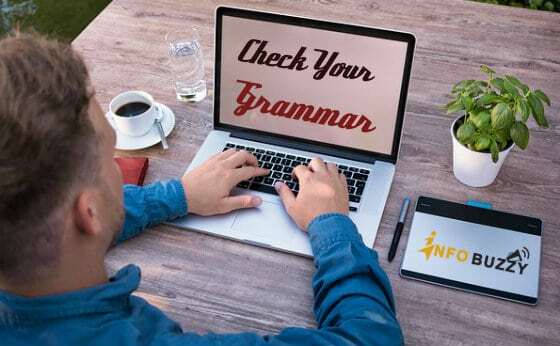 So, you got to know about the top 10 best Free Online Grammar Checker For Sentences, it is up to you to choose the ideal tool for yourself. 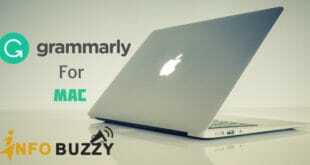 I use Grammarly premium for my Mac gadget and it is excellent in finding out the grammatical & other English mistakes. It helps me a lot to produce the flawless content effortlessly. I would suggest you get Grammarly paid version and make the mistake-free writing! Now, I want to know your favorite grammar check app to correct the errors in the sentences. Previous Why & How To Learn A Foreign Language Online? Next How To Access Blocked Websites On Mac?